Tattooing — "The world's oldest skin game" — is the subject of this documentary made by Geoff Steven who scored a major coup when he obtained the services of Peter Fonda as his presenter. 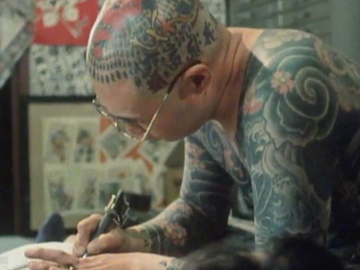 Shot in NZ, Samoa, Japan and the United States, it traces the history of tattooing from Ancient Egypt through its tribal importance in the Pacific, to a counter culture renaissance that began in the 1960s. Leading practitioners (including superstar Ed Hardy) are interviewed and observed at work, while their clients wince their way towards becoming living canvasses. Two decades before the animals of Black Sheep run amok, comes this Sunday night horror about a couple trapped in the countryside as the sheep start getting restless. In between encounters with a cheerful butcher and a man of God, we learn that New Zealand has undergone revolution: anyone who farms or harms animals is now branded a criminal. 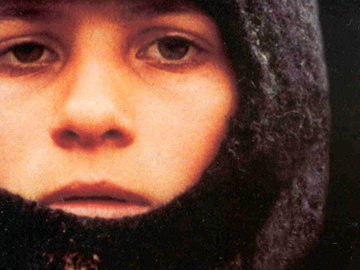 Directed by Costa Botes; scripted by poet and lawyer Piers Davies, who co-wrote Skin Deep (plus cult movie The Cars that Ate Paris, with acclaimed Australian director Peter Weir). 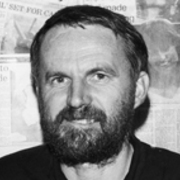 Roger Horrocks has been raising the quality of debate about New Zealand film and television for nigh on half a century. At Auckland University he campaigned for, then ran, the country’s first and biggest film studies course. 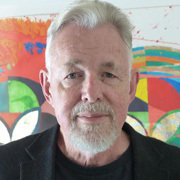 Horrocks has written extensively about Kiwi culture, including writing the definitive book on Len Lye. 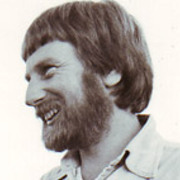 He is also a filmmaker and was a founding board member of organisation NZ On Air. John Maynard is a highly successful producer of more than 30 years experience, both here and across the Tasman. He is recognised for his support and encouragement of emerging talent, often with risky and original films. Notably, he helped launch the feature filmmaking careers of directors Vincent Ward and Jane Campion.